I thought October would slow down for this textile artist here in the wilds of Portland, Dorset but I was wrong. Starting with the official opening of the Athay gallery, we Dorset artists attended in our best bib and tucker. Great occasion, lots of people to meet and greet. 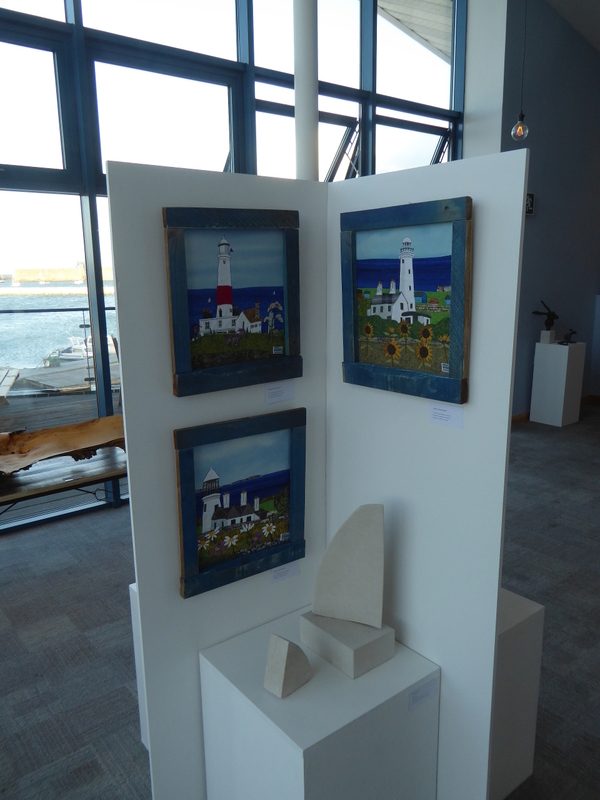 My set of 3 Portland lighthouse pictures, just finished by the skin of my teeth were on display and widely admired. They are still on display for sale in the gallery. From sketching and painting fabric on the en plein air day in September I had to put my skates on to complete the textile in time for the exhibition. I worked from a sketch I made on the day and some sky I painted on the day, showing blue rivulets of rain patterns. For 3 days, we artists manned the café by Penn Castle on Portland to display our work started during the en plein air. 18 Dorset artists took part and the quality and variety made for a really interesting display. Neil and I exhibited lots of our textiles, framed prints and driftwood sculptures here for a month. It’s a lovely busy venue and each of us sold some work. 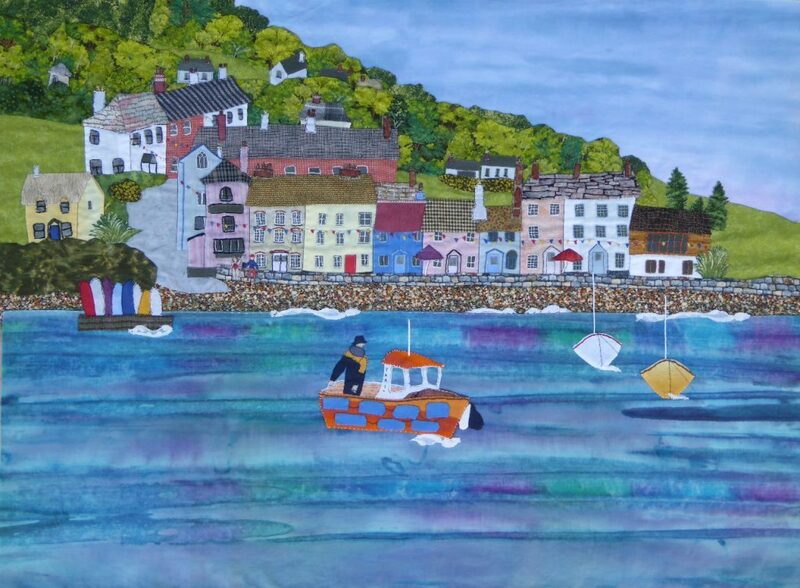 It’s huge and based on a photo Neil took of the lovely Devon village of Dittisham whilst floating down the river Dart. It’s called “Let’s Go for a Pint to Dittisham”. It’s now waiting to be framed. 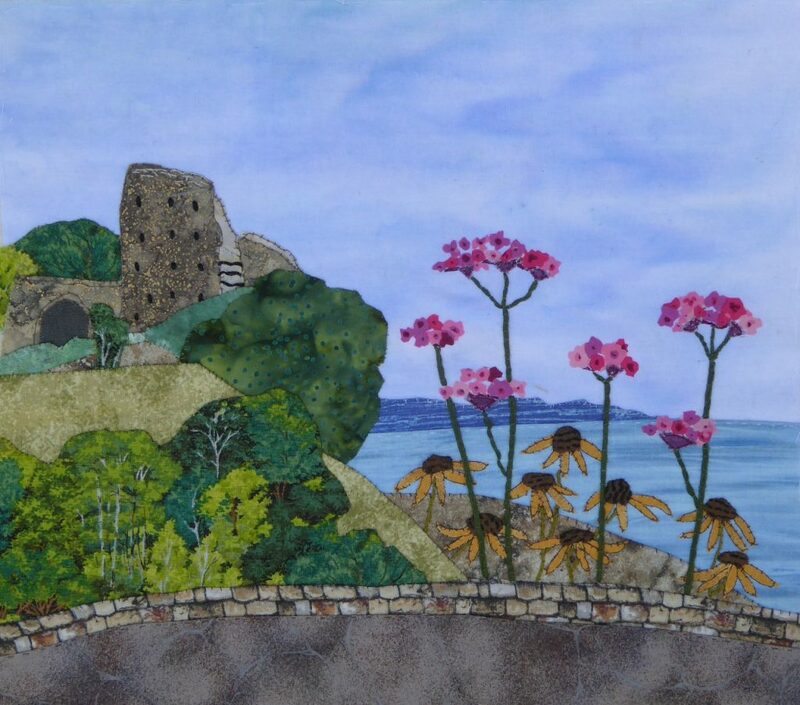 Have now gone back to working on my textile of Old Grimsby on Tresco …making slow progress. 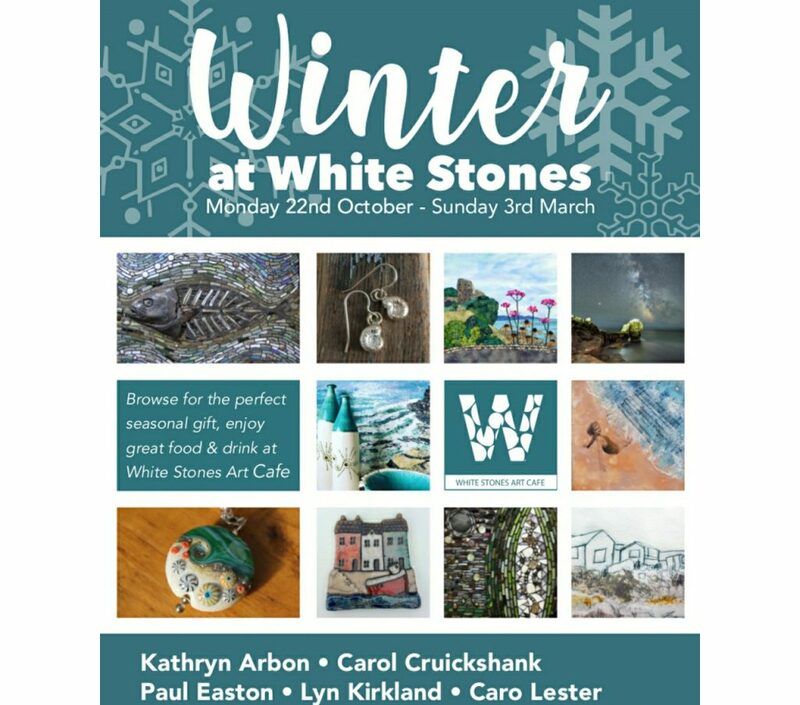 I have 3 original textiles and 3 framed giclee prints on display currently at Whitestones in a group Winter Exhibition. Its all looking good and the food there is great too, pop along and take a look.